Welcome to Bollywood posters studio .we offer you a wide range of hand painted bollywood posters of indian hindi cinema. 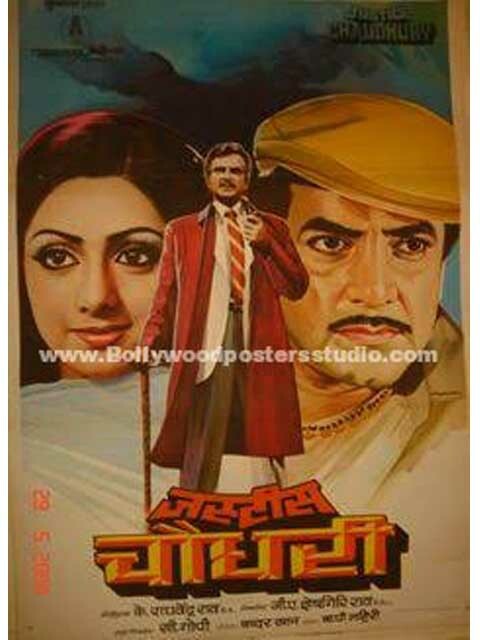 we are the largest online store in a world where you can buy or recreate hand painted posters of indian hindi movie . here you can get any of the hand painted posters of old hindi classic/ vintage bollywood movie posters and new block buster/super hits bollywood movie posters online. We are also specialist in customized bollywood posters hand painted . you can also recreate your favourite new or old bollywood movie poster in to new version, by adding your face instead of your favourite bollywood star / actor. Creating a customize bollywood posters is the all new trend in todays modern world. you can also change colour, background, themes,props , design etc. you can also add any other images , kids, pets, etc or what ever you like. Every thing will be according to you. Its is the best and unique gift for your parents , spouse , friends ,boss, colleagues, etc for their birthday party, wedding ,anniversary,engagement,valentine day,etc. Now a days it is best use in wedding , sangeet and parties decoration. It will leave a long lasting remark in memories of your guests. These posters are made on quality canvas with oil paints . It is portable and life long forever. And it is really unique and elegant and a perfect piece of ART.